Most hoardings and glossy magazine covers glorify women with glossy, flowing locks. But you know that it’s not ideal to leave your hair loose, what with humidity, air-conditioning and all that travel. Your style is more than a fleeting fad, your style represents your individuality. Well, you can have the best of both worlds. And the best part is, you don’t need a stylist or fancy tools. Yes, we’re talking about the braid. You’ve probably slumped back in your seat at this point, because the braid reminds you of strict school teachers. But. Hang on. The braid is just so effortlessly chic! 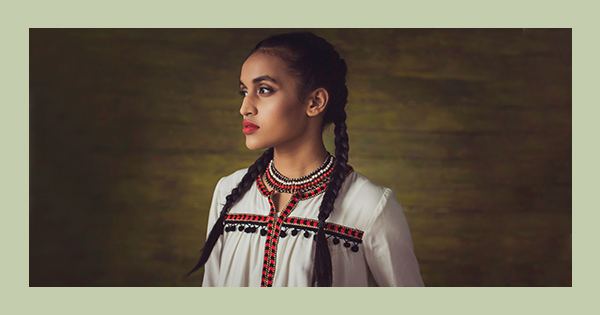 Think beautiful crown braids, fish tail plaits and the Kulli Pinnal. Here’s another thing we’ll have you know. The ‘chotti’, as you know it, is not an age old Indian Tradition - it came here when the Greeks did. And it’s not just us! The braid was popular enough to globetrot from the Greek to the Africans to the French to the Dutch to the Japanese to the Native Americans. Even Deepika Padukone, Jennifer Lawrence and other celebrities from across the world seem to have caught on. You can float effortlessly from a White shirt to an Anarkali without changing your hair-do. Because both styles complement your braid! Like an oil massage, the braid is occasionally something you’d do for someone else. Older children would learn how to braid and try it on the younger ones. Understandable, how it has travelled down and survived generations of dynamic fashion. So grab a friend, your daughter, or your sister and a range of different braid styles on them! Try the Ladakh Braid , Khopa , Nyishi or of course, the Kulli Pinnal ! Because, as you can see, braids have stood the test of time! Let’s make sure it stays immortal.